2014 will mean a new start for my blog. First, I changed the name to Kellner Farms. I pondered on the name change for a very long time. I even asked the family one evening over supper what they wanted to name our "Farm". Right now, it's a dream, with livestock, and a barn, and pasture. We will talk about that dream later. Other things we are working on in 2014, house plans. I'll show you our building site, and this blog will keep a timeline of the progression of everything here. Kids are busy with sports, Macie is playing basketball now. In the spring, Macie will be in Softball and Ryan will be in baseball. Macie is also beginning her first year of 4-H. We have lots of projects to start on, and I think there are some piggies that have just been born, and she is waiting to pick them out!!! Our family spends a lot of time outside, that is where you will find my husband, fishing, hunting, scouting, gardening, playing "pig" at the hoop, or catch in the yard. It's great that our kids love following him around! 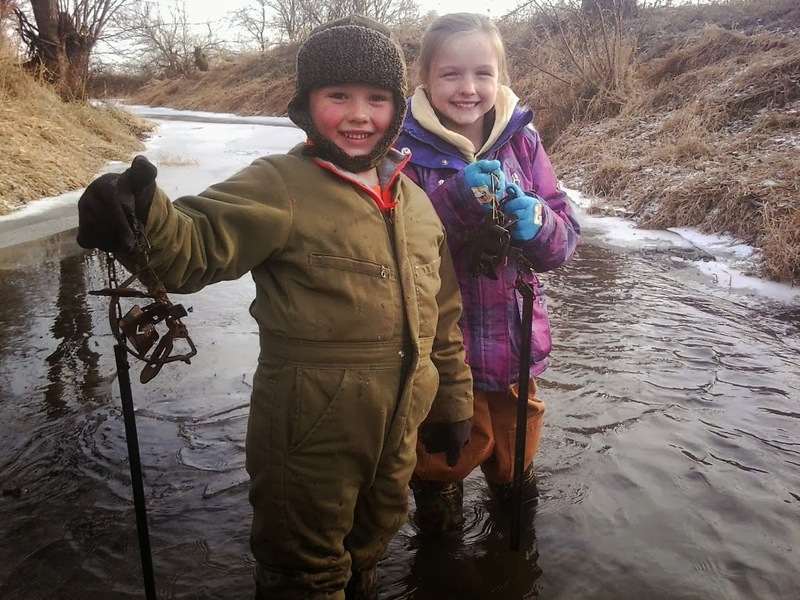 During their winter break, kids spent time outside, trapping with Dave and Papa Jack. I think Ryan is very interested in trapping next year. What's in season next?? More to come in 2014, maybe a few recipes and how we are working on creating a menu every Sunday, it is working great for us! When we have dinner plans laid out at the beginning of the week, Dave starts dinner, and we are eating "in" more!! 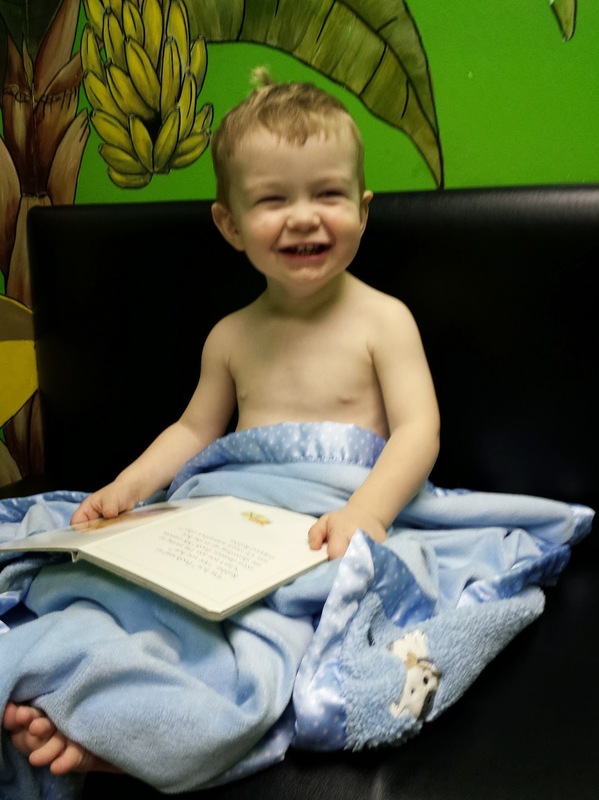 Mason had his 18 month doctor appointment today! He's a growing little boy!! Hello! Dropping by from the blogging group of Ag ladies! Looking forward to following along with your family on your blog. Hope to see you at some of our meetings!